Have you ever enjoyed a tall, cool glass of orange juice? Unless you juice your own oranges, then you haven’t. I’m serious…you haven’t had a glass of orange juice. Not once. Ever. In your entire life. What you had was a tall, cool glass of orange water. If you read my post on milk, particularly the section on pasteurized milk, you know that pasteurization kills most of the beneficial bacteria in milk. Americans have been brain-washed into thinking that all bacteria is bad, so the thought of beneficial bacteria is foreign to most of us. 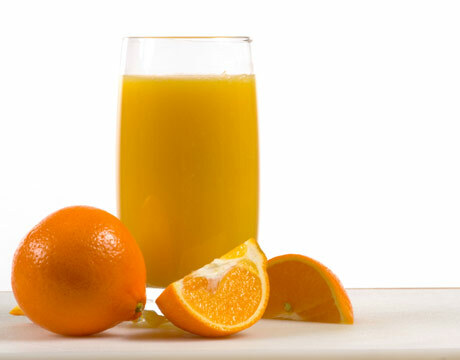 Nearly all orange juice on the market (98%) is also pasteurized. Have you ever stopped to wonder why on earth orange juice would need to be pasteurized? According to the Centers for Disease Control (CDC), pasteurization is needed to kill two particular pathogens: E.coli O157:H7 and salmonella. That answer begs the next question: why would there be salmonella, or even more unfathomably, E.coli O157:H7 (which is found naturally in the intestines of cows) on produce like oranges? That one is still a mystery. According to the book Raw Milk Revolution, past history has shown that the CDC attributes food-borne illnesses to certain foods (like raw milk) even when there is zero evidence of that food being the source of the illness. And if you’ve watched the documentary film Food Inc., you realized that big agribusiness puts their foot on the collective throats of small farmers. So the cynical side of me says the politics of food regulation and big agribusiness is similarly what’s driving the requirement to pasteurize orange juice in order to either put small farmers out of business or force small farmers to fall under the control of big agribusiness. Whatever the reason for pasteurizing juice, the fact remains that the “orange juice” you drink is not really orange juice at all. Since it is pasteurized, the vitamins in the juice are destroyed. This is why, if you read the list of ingredients in orange juice, OJ producers add back ascorbic acid to their juice: ascorbic acid is vitamin C. The natural vitamin C in the juice no longer exists so it must be added back. Let’s continue. The juice is then evaporated by vacuum and heat to reduce into concentrate. Have you ever wondered why orange juice is almost always from concentrate? The reason for turning the juice into concentrate is nicely explained in this St. Petersburg Times article (under the section entitled ‘Concentrating on taste’): orange juice needed to be sold in a way that would extend shelf life. But there’s more. When the juice is reconstituted with water, citric acid and other essences and oils are also added back to the juice because pasteurization not only destroys the OJ’s vitamins but also the OJ’s flavor by destroying those essences and oils (more on that in a bit). Check the ingredient list of your favorite orange juice…you may see these add-back items listed. If these add-backs are only trace ingredients (as they sometimes are because not much is needed to “refresh” the flavor of the reconstituted juice), then they don’t even need to be labeled on the ingredient list. You may think it’s not so bad if the producers are adding back something that was taken away. After all, it seems like no net loss, right? Not exactly. The essences and oils that the manufacturers are adding back are chemically configured (read: man-made) in ways that are nothing like their natural configurations. They are chemical replacements (like ethyl butyrate) for the natural versions. The pasteurization process also strips the oxygen from the juice to allow the juice to be stored in million-gallon tanks for up to a year (a sub-process known as deaeration). One year! No wonder aseptically stored juice, in the words of Alissa Hamilton, author of the book Squeezed: What You Don’t Know About Orange Juice, “must be doctored to taste like orange juice”. Ready for even more? What do you think of when you think of OJ labeled “not from concentrate”, such as from the brand Florida’s Natural? If you think juice that is freshly-squeezed from the groves of Florida and packaged directly into cartons, you’re not alone. That’s what most people think, but that’s not what “not from concentrate” (NFC) means. Yes, NFC juice bypasses the concentration (evaporation) process but the concentration process is not what ruins the juice’s nutrition and flavor. Re-read the paragraphs above. What ruins the nutrition and flavor is the pasteurization process, and NFC juice is still pasteurized. So NFC juice is just as doctored as orange juice from concentrate! NFC juice is a marketing gimmick designed to charge consumers more for essentially the same type of juice. When you drink a glass of orange juice, the Times article mentions that there are “more than 300 chemicals in the juice so that [Tropicana] can re-create the same flavor every time.” This again reminds us there are many more things in your “orange juice” than what’s on the ingredient list. That’s why I said at the beginning of this post that when you drink a glass of OJ, what you’re drinking isn’t really orange juice but chemically-crafted orange liquid. So even orange juice is no longer a natural product but just as much a processed food as some of those items in the middle aisles of your supermarket. About a decade ago, I made a trip to a small town in Florida (don’t remember the name of the town offhand) but we bought some orange juice at an orchard. It was the most amazing juice I’ve ever had and I’ve not ever tasted anything like it since. It was clearly different from the stuff in the Minute Maid cartons I was used to drinking. To add injury to insult, out of convenience since my employer provides free orange juice to its employees, I drank bottled Mr. Pure orange juice on two separate occasions and each time, I got food poisoning. Coincidence? Possibly. But it reminds me that even pasteurized products can still cause sickness. We used to buy orange juice faithfully every week, but about six months ago or so, we’ve stopped buying it. We’d rather eat the real thing. What do you think? Will you continue buying orange juice? The U.S. Department of Agriculture (USDA) is still wrong. Back on June 2, 2011, the USDA, along with First Lady Michelle Obama, replaced the infamous Food Pyramid with the Food Plate. The Plate eliminates the “oils” group, and re-arranges the other 5 groups into an admittedly more intuitive design, but the Plate is still essentially the same as the Pyramid. 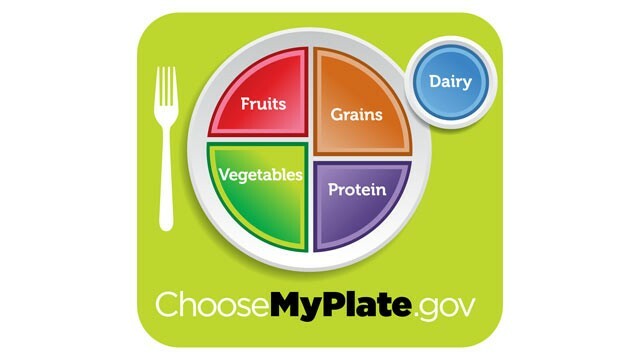 The Plate’s web site, the poorly-titled choosemyplate.gov (who’s choosing my plate?…the government? ), emphasizes counting calories, eating less, having veggies and carbs be the two biggest servings on your plate, reducing your sodium intake, and drinking fat-free (skim) or low-fat (1%) milk. There’s a little problem, though. All of those recommendations are flawed, have no scientific basis, and could actually be detrimental to your health instead of helpful to your health. To most Americans, that last sentence is nutrition heresy. We’ve been taught since the 1980s (at least that’s when I remember it) that we need to watch our calories, not be gluttons with portion sizes, eat equally from the food groups, sodium is bad, saturated fat is bad, foods high in cholesterol is bad, whole milk is bad, etc. This is the current conventional wisdom, and we’ve bought into it hook, line and sinker. So why have obesity and diabetes rates continued to skyrocket since the 1980s? If we’re getting better dietary guidelines, why is the nation getting sicker instead of healthier? Maybe, just maybe, it’s because the dietary guidelines we’ve been given is wrong. In his game-changing book Why We Get Fat, Gary Taubes explains why these dietary guidelines are wrong (and for those who care, how we came to believe this information was right). It turns out that what makes people fat isn’t the number of calories nor the amount of food we eat. Nor do we get fat from eating foods high in saturated fat or foods high in cholesterol. According to Taubes, there actually no science behind this conventional wisdom. Nevertheless, America is constantly being fed these incorrect guidelines, and now Mrs. Obama is even taking the lead in nagging us about how to lose weight that, frankly, isn’t going to work. Rather, Taubes elaborates that, genetics notwithstanding, carbs (and particularly refined carbs) make us fat b/c carbs triggers an insulin response in our body to store the carbs as fat. So it’s not just sugar. It’s also white rice (heresy to Asians), white bread (heresy to Americans) and potatoes. If you want to lose weight, you have to go cold turkey and cut all those things out of your diet. What’s more, saturated fat and dietary cholesterol neither make you fat nor put you at greater risk for heart disease. On the contrary, meat products had beneficial nutrients in them. If you want the full scoop on these shocking facts about conventional dietary wisdom, Taubes describes in greater detail in his book. And he shows how those facts are backed up by science. When I read Taubes’ book, the proverbial light bulb went on in my head. I know two people who work out religiously but are both overweight. I know a third person who is highly (not moderately) active physically yet can easily gain weight. A fourth guy was an avid runner and was a mindful eater yet suffered a stroke at age 54. And my wife and I also were trying to diligently follow that freaky Pyramid but we just couldn’t lose any significant weight, always being at the heavy end of the ‘normal’ weight range for our heights. We decided to do our own version of a low-carb diet. Though I had mocked Atkins when I first heard about his diet, it turns out he was right after all. We ate as much meat as we royally wanted as well as eggs, seafood, butter and other government-discouraged foods to our heart’s content, but we cut out all desserts, rice, bread, bagels, pasta and potatoes in our diet. We did this for a few months… and my wife lost 20 pounds while I lost 25 pounds! And we lost all this weight while stuffing ourselves at mealtimes. As my wife once said, “It doesn’t feel like a diet b/c I’m always full after every meal. I don’t have to starve myself or count calories.” Even some Hollywood types are discovering the real way to lose weight is high-protein, low-carb. Personally, we were excited but still skeptical. What if we were getting skinnier on the outside but inside our blood vessels, they were getting all clogged up from all the meat we were eating? I went to the lab to get my blood work done b/c we figured the data from my blood won’t lie. When I got my results, I couldn’t believe it. My triglycerides went down (a good thing), my cholesterol went down (also good), and my good cholesterol went up (a very good thing). How about Gary Taubes himself? He posted his own blood work results online, warning that he eats three eggs with cheese, bacon and sausage for breakfast every morning, typically a couple of cheeseburgers (no bun) or a roast chicken for lunch, and usually around a pound of beef for dinner. Like me, his blood numbers are all great. Unfortunately, the federal government continues to perpetuate dietary myths. 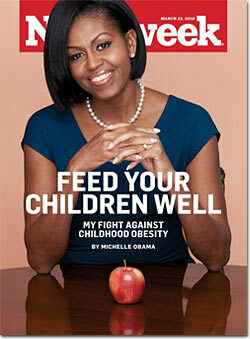 In fact, in Feb 2010, Mrs. Obama launched a new nationwide program called “Let’s Move!” with “an ambitious national goal of solving the challenge of childhood obesity within a generation so that children born today will reach adulthood at a healthy weight.” How does the program plan to accomplish this? By encouraging kids to, um, “be more active” and “eat better.” If that sounds like a regurgitation of the conventional wisdom, it is. Links for the “eat better” component of “Let’s Move!” takes you to that aforementioned, dreadfully-named choosemyplate.gov web site. If you think doling out incorrect dietary guidelines is bad, there are more areas where the federal government hurts, rather than helps, its citizens besides guidelines on how to lose weight. Sad but true. Will post those in the future. What do you think? Is Gary Taubes wrong? Are the blood results misleading? Is there a different reason Americans continue to become obese and diabetic in record numbers despite more vigilant government campaigning about how to eat right?